PHC students assisted over 8,000 members of the public on board the Hermione during its first port of call in Yorktown, Virginia. 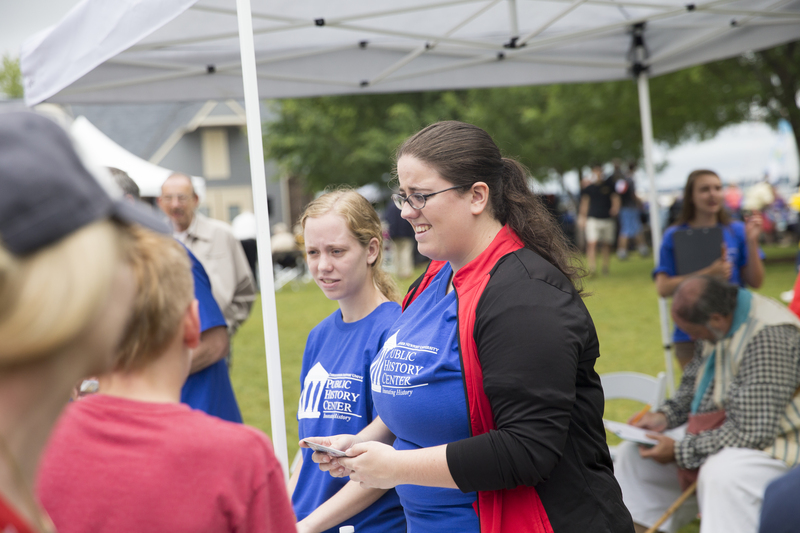 Christopher Newport’s Public History Center (PHC) was named as Outstanding Volunteer of the Year for York County in 2016. 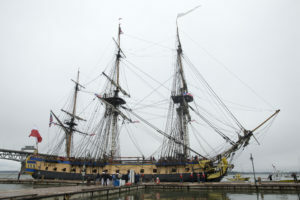 The PHC partnered with York County, Sister Cities Yorktown, the Watermen’s Museum, and the Hermione Voyage 2015, an international nonprofit organization that sailed a reconstructed 18th century French frigate from Rochefort, France to Yorktown for a grand American tour commemorating French support of the American Revolution. The original Hermione first carried the Marquis de Lafayette to the United States in 1780, and assisted in the Battle of the Capes before the British surrender at Yorktown in 1781. Construction of the replica spanned nearly three decades and cost over $4 million. L’Hermione landed at Yorktown on June 5, 2015. Over 20,000 members of the public (national and international) flocked to Yorktown for the frigate’s three day visit, including Governor Terry McAuliffe of Virginia. 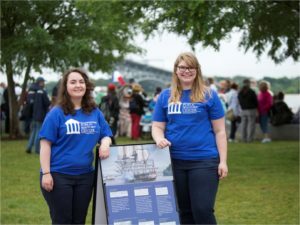 Dr. Sheri Shuck-Hall (PHC’s Director and Associate Professor of History) and Dr. Thomas Hall (PHC’s Associate Director and Associate Professor of Economics and Finance) served on the executive planning committee for the Hermione’s first port of call at Yorktown. 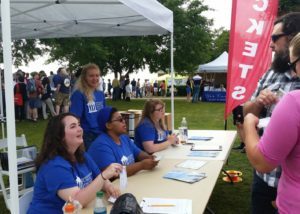 The PHC recruited and organized more than two dozen Christopher Newport volunteers. They distributed tickets and ushered over 8,000 visitors aboard the ship in three days. In total the PHC provided over 430 service hours for this event. 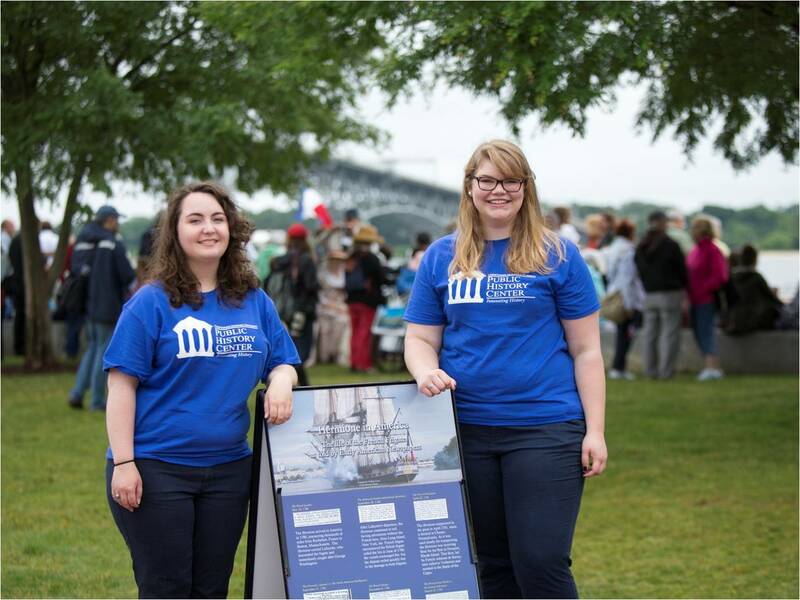 Additionally, two Public History Center Fellows created historical display panels about the Hermione for thousands of the public to read. 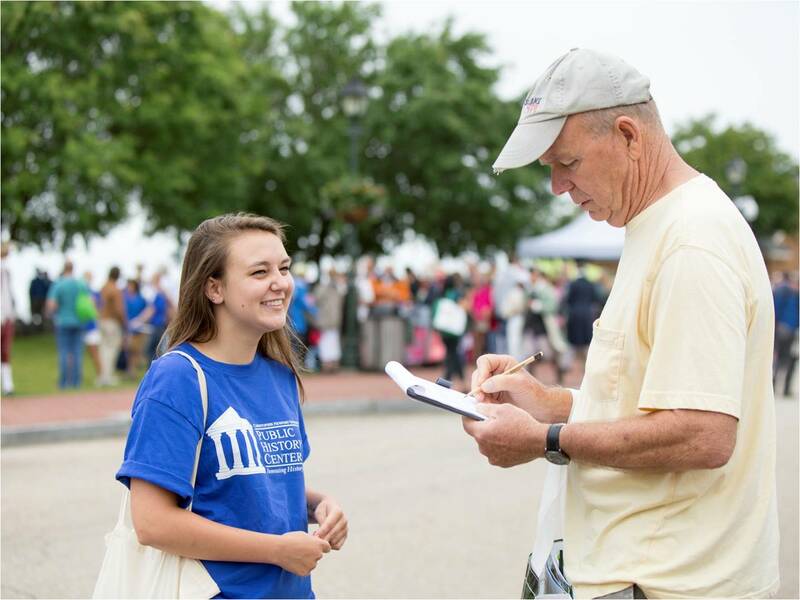 The PHC also conducted 1,650 surveys to access the economic impact on the ship’s visit to Yorktown. It was definitely a fun weekend. I’m pretty sure my sisters still don’t understand how ecstatic I was or why, but they had fun and I’m used to being the history nerd in the family. I hope there will be other fun events to go to in the future so I can volunteer again.